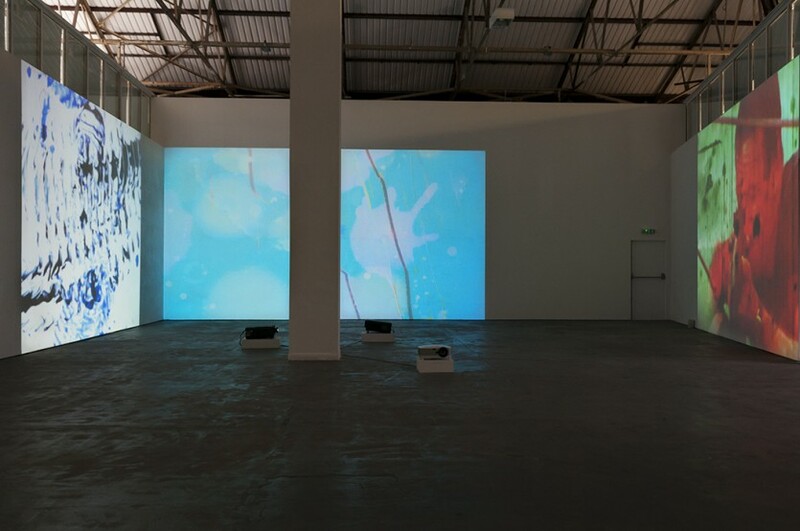 S1 Artspace is delighted to announce Aloe Vera & Butter, a solo exhibition of new and recent work by Los Angeles-based artist Jennifer West, her first solo exhibition in a UK public gallery. 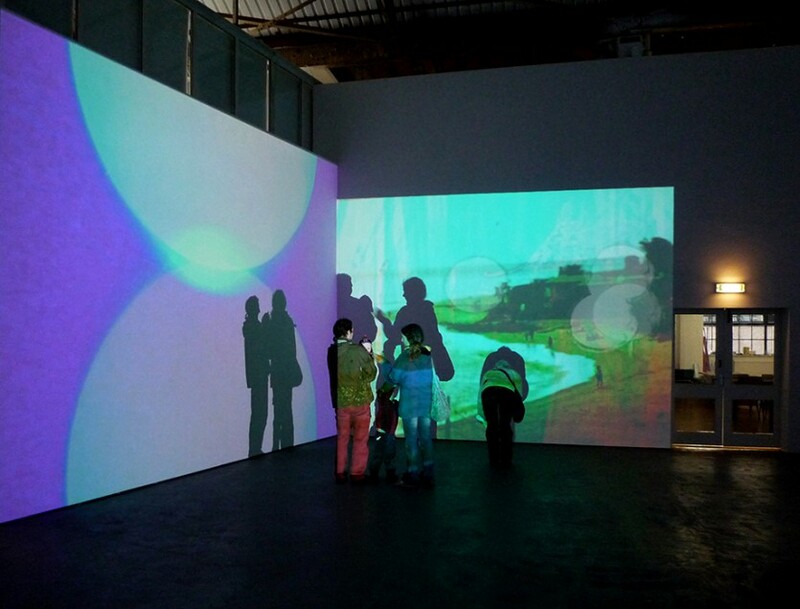 It includes six new and recent videos presented across two large-scale triptychs, installations that immerse and implicate the viewer within the work. 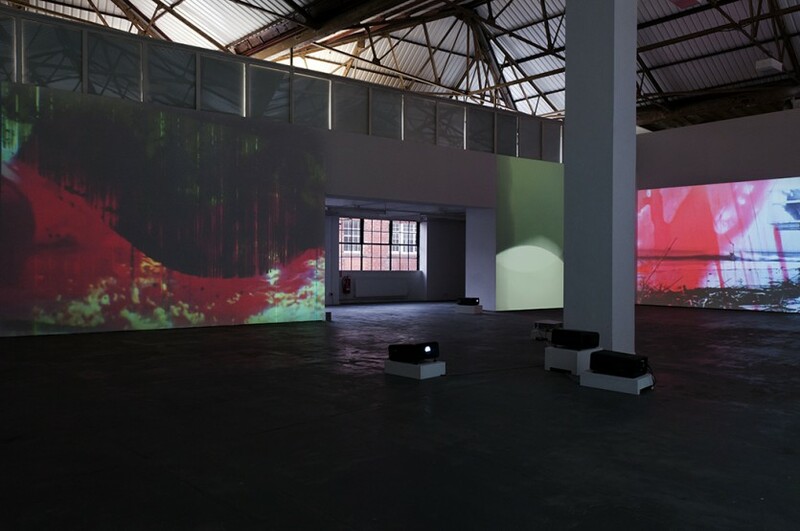 West approaches filmmaking like an alchemist, experimenting and transforming the surfaces of blank film stock, shot footage, found photographs or off-cuts from Hollywood blockbusters into abstract kaleidoscopes of colour, allusion and direct reference. 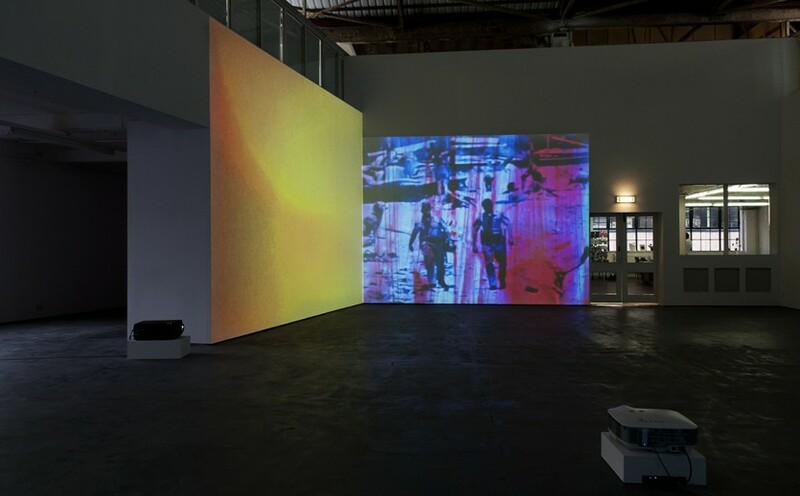 Deeply rooted within the history of experimental and more specifically, structural film, West produces camera-less films through a number of processes and actions that reference influential avant-garde artists including, Tony Conrad, Carolee Schneemann, Allan Kaprow, Linda Benglis and Ed Ruscha. 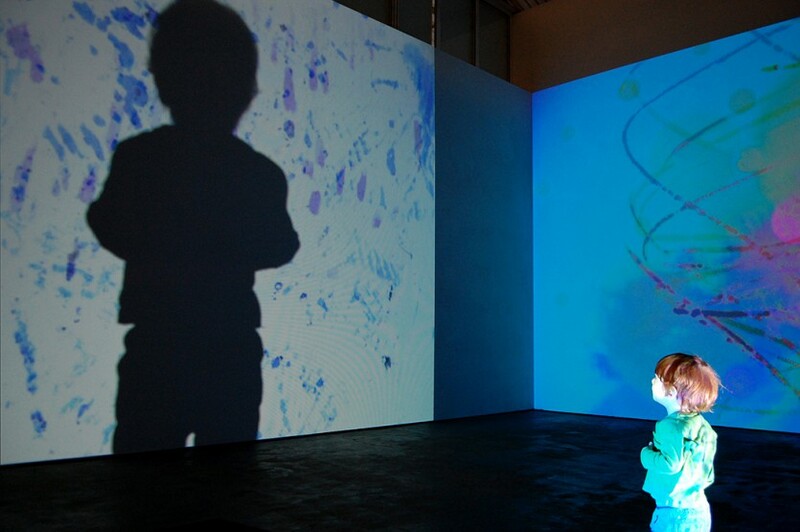 As a former student of Mike Kelley and Diana Thater, it was Thater who encouraged West to consider how the form or structure of any artwork can meet the subject or content as they each produce their own meaning. Working directly onto 16, 35 and 70mm film leader, West subjects the film’s surface to a catalogue of materials, chemicals and substances that she describes as ‘marinades’. These include anything from nail varnish, mascara, pizza and whiskey to cigarette smoke, LSD, lithium and urine. West applies and exposes these substances directly to the film allowing their natural properties to alter the celluloid in unpredictable ways. 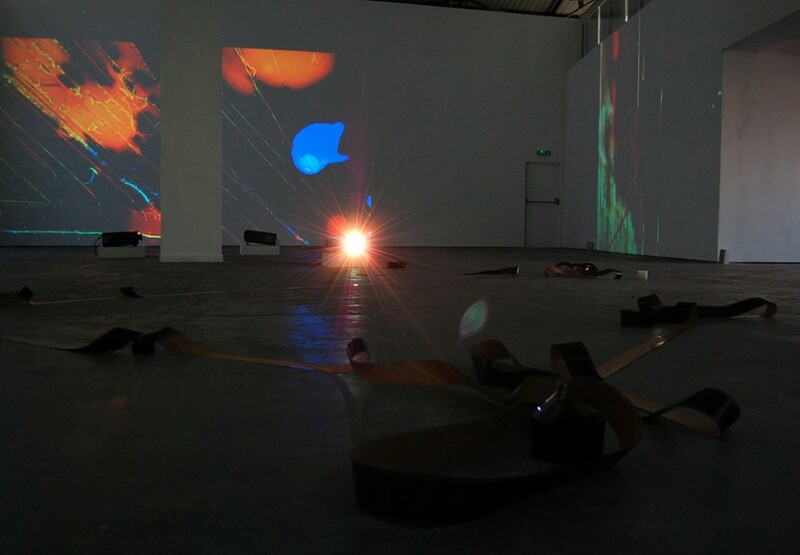 Strips of film simultaneously undergo processes of destruction such as scraping, cooking, burning, drumming, head-banging and licking; a series of performed assaults and collective gestures delivered by willing participants. The title of the exhibition, ‘Aloe Vera & Butter’ refers to substances West used to produce ‘Topanga Beach House Film…’ (2008), substances commonly believed to help burns. 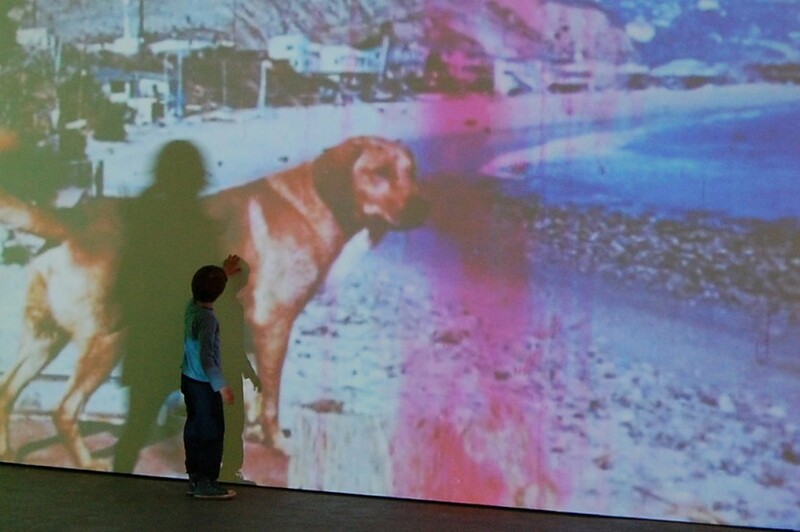 Based on a childhood story the artist was told – but later discovered to be true – in 1980 the local authorities forcibly destroyed all the houses located on Topanga Beach – West’s birthplace and an area that attracted an increasingly artistic and bohemian community. In a final act of resistance before the authorities could destroy the few remaining houses, the residents decided to burn down their own homes. Using found archive photographs, West hole punched the places where the houses were located and applied the ‘soothing’ properties of aloe vera and butter to the images, which naturally left their mark. Frame by frame, the video slowly begins to rev eal the places where the homes were located as West collides the past with the present together with reality and fantasy. 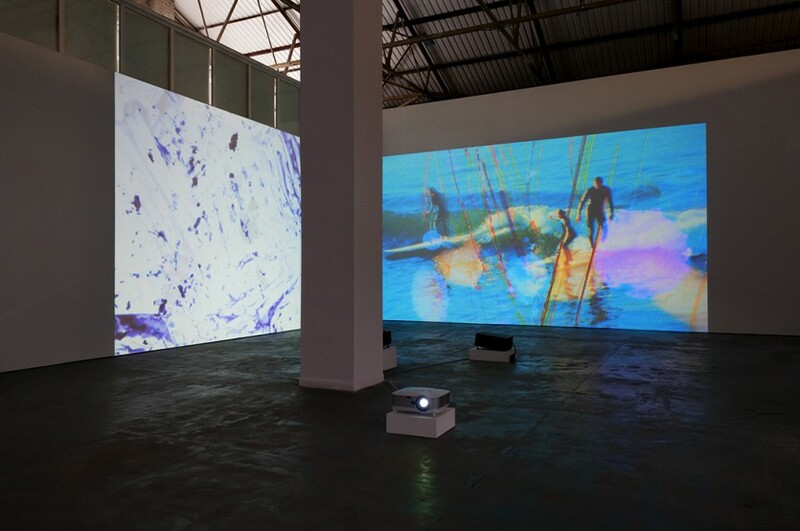 In several of West’s videos, actions or events portrayed or embodied within source or shot footage, including – ‘Dawn Surf Jellybowl Film…’ 2011 – are directly repeated on the celluloid to permeate the film with the qualities, substances and physical actions the film simply cannot convey. As West herself describes, “it’s a really disjunctive thing where film goes through a performative process and it becomes the residual marks from that experience”. One of the most recent videos included in the exhibition ‘Heavy Metal Sharks Calming Jaws Reversal Film…’ 2011, was inspired by one of West’s friends who posted an article online about how a shark trainer from Australia claimed they were calmed by heavy metal music. In response to this, West purchased off-cuts of the infamous ‘Jaws’ blockbuster from eBay and treated the prints directly with actions and materials associated with heavy metal music: black dye enriched with iron, zinc and magnesium was applied directly to the film with hair in a head-banging fashion. 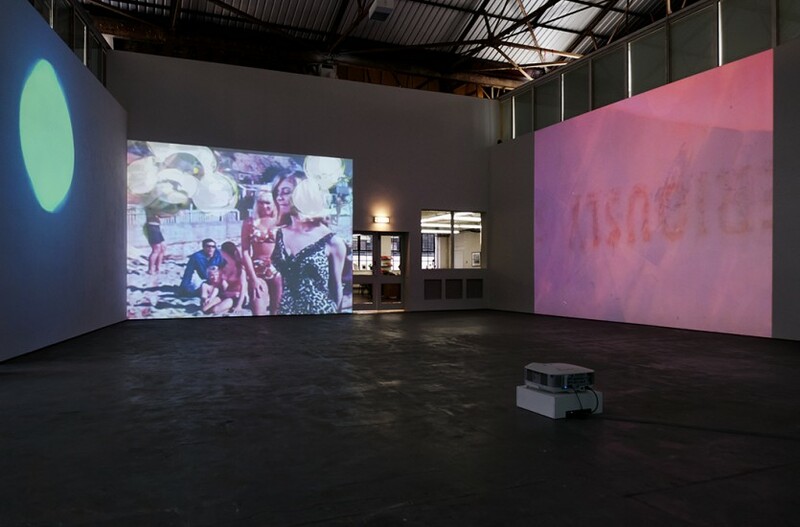 Transferred onto video and projected at an immersive scale, West’s films appear as psychedelic visual trips, literally steeped in traces of lived experience, the material residue of action, history, desire and the popular culture of the Californian West Coast. Despite their abstraction, West’s films are highly referential, even documentary in nature, acting as a record of the specific time, place, location, participants and performative actions involved. With references to abstract expressionism and the action painting of the 1960s, process rather than product is of central importance to West’s work, a fact supported by the lengthy titles given to each film which act as thorough, even pedantic narrative accompaniments to the work, elucidating the abstract marks onscreen as the films are literally infused by the materials only through their titles. 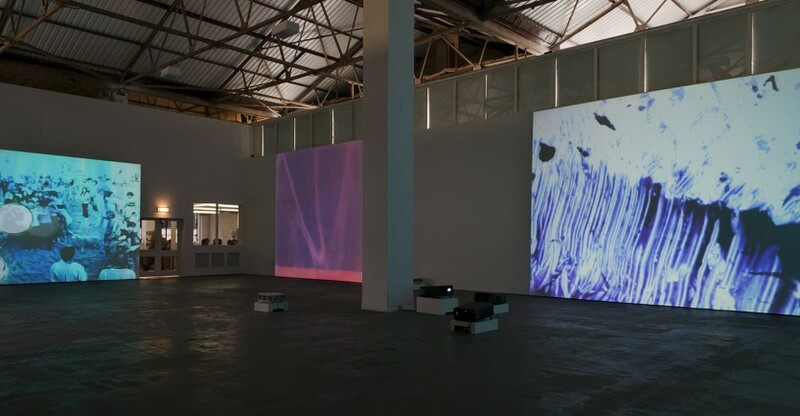 Jennifer West (born Topanga, California, lives and works in LA) has exhibited widely internationally with solo exhibitions in 2011 at Vilma Gold, London, and Franklin Art Works, Minneapolis. She has also presented solo exhibitions at the Contemporary Arts Museum, Houston, Western Bridge, Seattle and Kunstverein Nürnberg (all 2010). 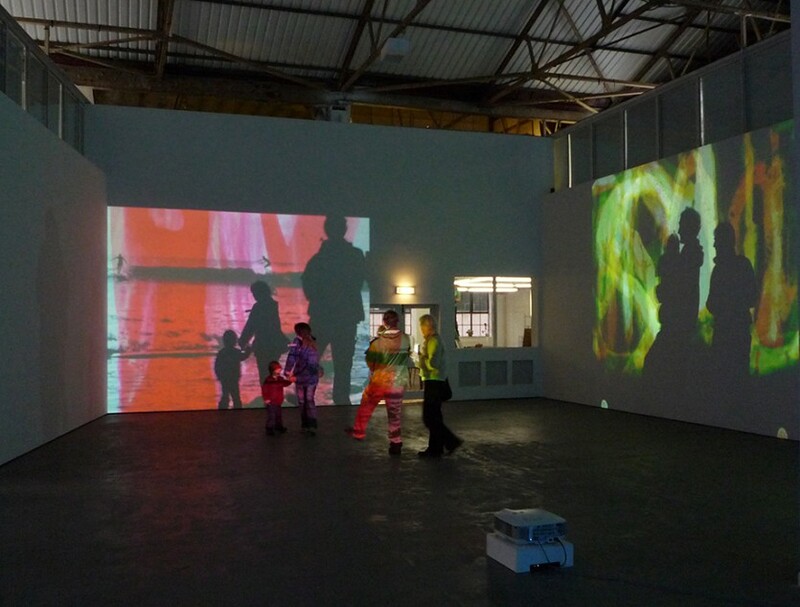 In the UK, West has exhibited in Altogether Elsewhere, Zoo Art Fair, 2009, with George Ziffo at Transmission Gallery, Glasgow, 2008, and was featured in the 2007 exhibition, If Everybody had an Ocean, at Tate St Ives. In 2009 she was commissioned to produce special project, Skate the Sky, for the Turbine Hall at Tate Modern, London, and in 2011 she was Artist in Residence at the MIT List Visual Arts Center in Cambridge Massachusetts. Upcoming projects include an exhibition at the new Highline Channel and a performance based work for Highline Art, New York. 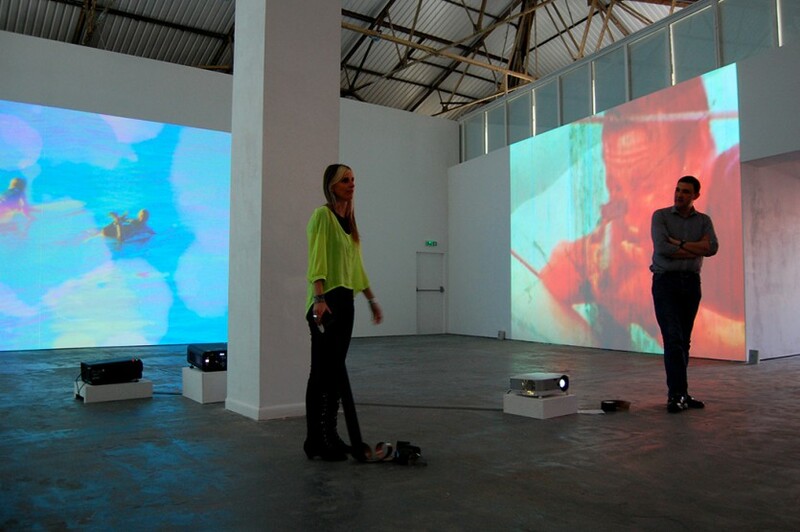 West is represented by Vilma Gold, London and Marc Foxx Gallery, Los Angeles.